MARCH 12--A Pennsylvania man who was arrested for kicking a 102-year-old woman in the shins during a nursing home visit has copped a plea for his attack on the wheelchair-bound centenarian. Michael Pavelek, 66, pleaded guilty Tuesday to a harassment charge in connection with the October 18 incident at the Jameson Care Center in Neshannock Township, about 60 miles north of Pittsburgh. 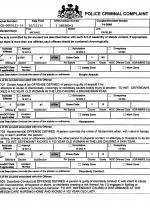 A District Court judge ordered Pavelek to pay a fine and court fees totaling $328. 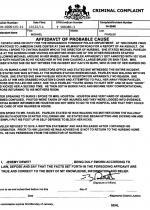 Assault and disorderly conduct charges initally filed against the Fredonia resident were withdrawn. 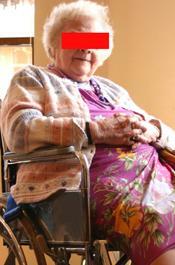 Police arrested Pavelek at the nursing home, where his mother resides. The facility is also home to Ruth Houston, who was kicked by Pavelek. As detailed in a criminal complaint, Pavelek, who was visiting his mother, became annoyed when Houston (seen above) reportedly followed him in her wheelchair. So he “kicked her in the shin causing a large bruise or skin tear,” cops reported. Kaitlyn Burks, a nurse at the facility, told police that she saw Pavelek “kick Ruth Houston for apparently no reason.” Burks added that she yelled at Pavelek and grabbed Houston’s wheelchair in an attempt to pull her away from him. Burks recalled telling Pavelek, “You’re going to hurt her.” To which he reportedly replied, “Good,” before kicking Houston a second time.